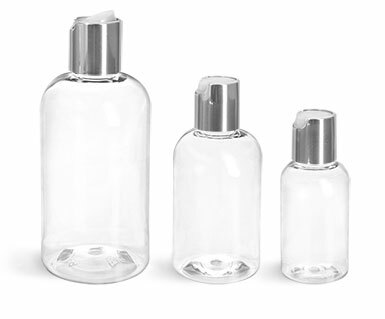 Our clear PET bottles with disc top caps could be just what you're looking for to package your bath and body care line! 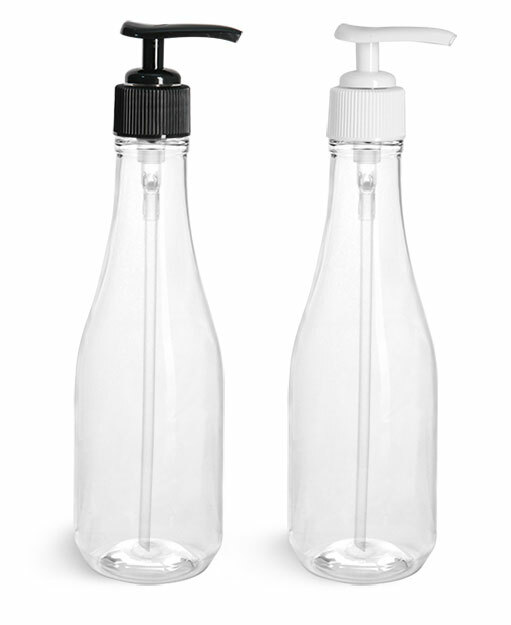 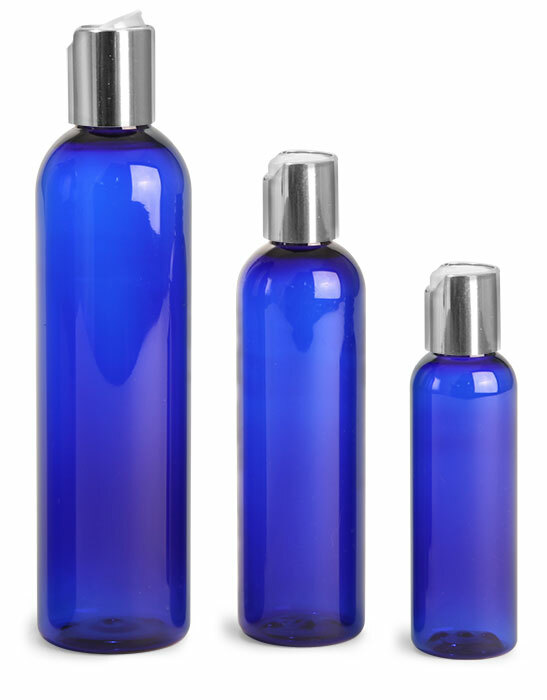 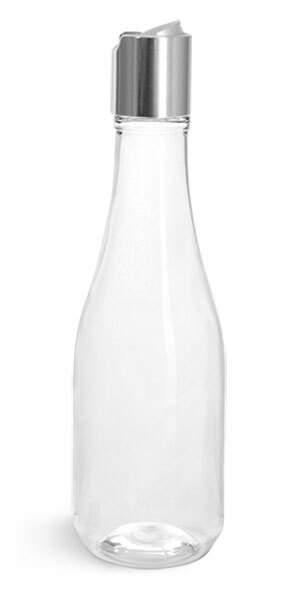 These bottles are offered in a range of sizes and are available in the variety of shapes and cap options. 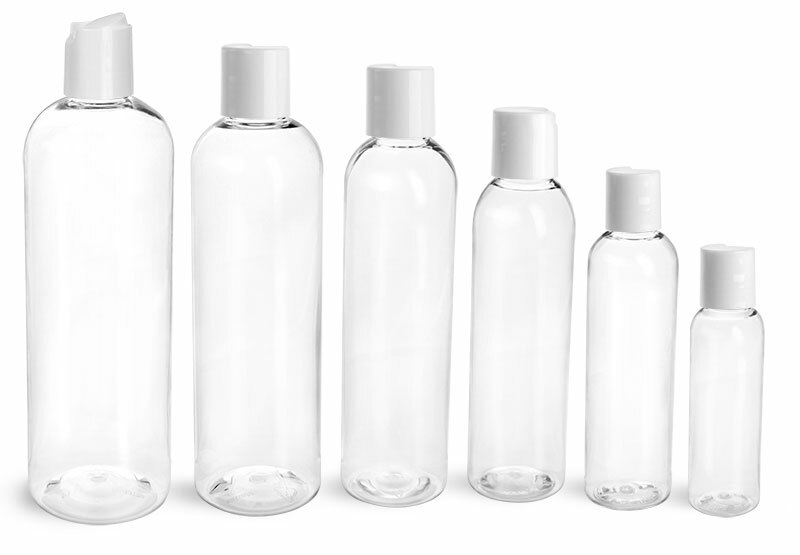 Try using these containers for body wash, moisturizers, hair care products and more!